How do I buy a Honest Abe Roofing Franchise? Honest Abe Roofing was founded with the goal to create a marketing and sales-based business model and to improve upon how roofing products and services were promoted and provided in a highly-fragmented marketplace. To buy an Honest Abe Roofing investors need an initial investment between $155,870 and $252,684 for a single territory. Training and support, logistics software, and unmatched access to quality roofing products are included. Dominate the Market with the Honest Abe Roofing Franchise. No roofing experience required to take your piece of the $41 billion roofing industry. 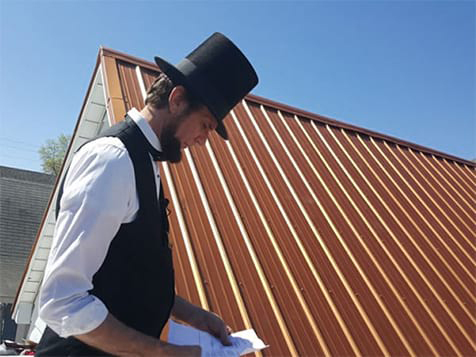 Honest Abe Roofing provides you with an independent sales-focused business ownership opportunity you can truly be proud of with a corporate philosophy inspired by Abraham Lincoln. You'll see how this franchise team focuses on the forefather's enduring commitment to hard work, a job well done and a never-wavering dedication to excellence. Open Honest Abe Roofing in any of these available states: AL, AR, CO, CT, DE, GA, ID, IL, IN, IA, KS, KY, LA, ME, MA, MI, MN, MS, MO, MT, NE, NV, NH, NJ, NM, NC, OH, OK, PA, SC, SD, TN, TX, VT, WV, WI, DC. 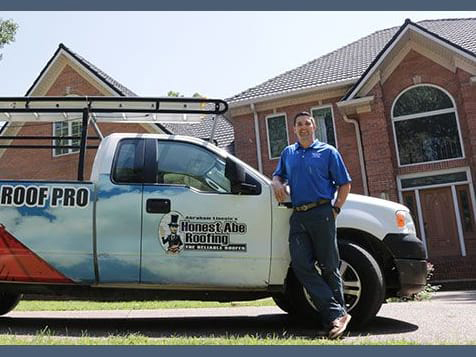 Why Become an Honest Abe Roofing Franchisee? Proprietary State of the Art Logistics Software - Newton Roofing Software makes scheduling jobs easy. Strong Brand - We have spent the last decade building a trusted brand that you'll be proud to represent. Track Record of Success - Honest Abe's corporate location achieved sales of $6.8 million in 2016. Training & Support - We've done all of the trial and error associated with operating a home improvement business. We provide all of the training and support to ensure that you're given every opportunity to dominate your market! Recession Resistant Industry - If you own a home, you own a roof that will eventually need replaced. Regardless of the economic climate there will never be a shortage of potential Honest Abe Roofing customers. The ideal Honest Abe Roofing franchisee will be someone looking to take control of their future, someone looking for freedom and someone looking to make a real difference to their legacy. Must be committed to excellence and willing to do whatever it takes to make a customer satisfied. Join the talented team of Honest Abe Roofing and contribute to a company with a proven track record of success. Fill out the inquiry form today!